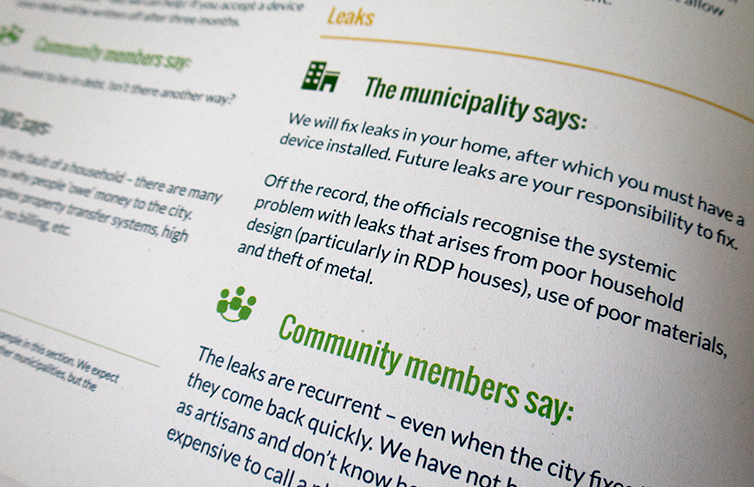 The Environmental Monitoring Group (EMG) asked us to design a series of fact sheets. 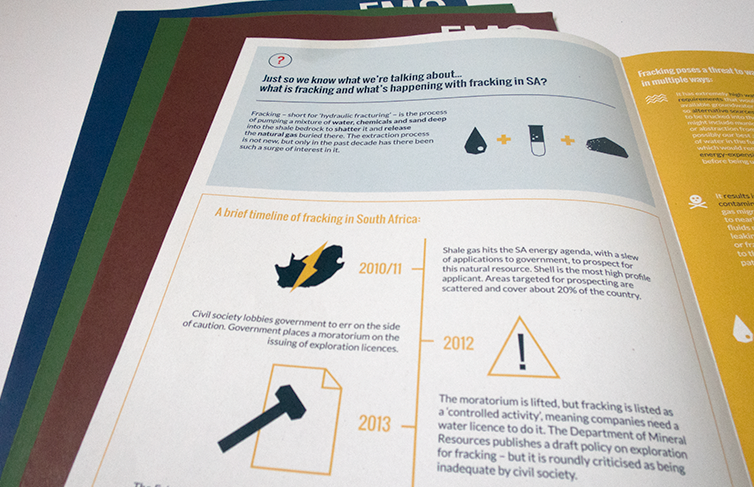 The fact sheets consist of summarized content from longer research projects that have been published by EMG. 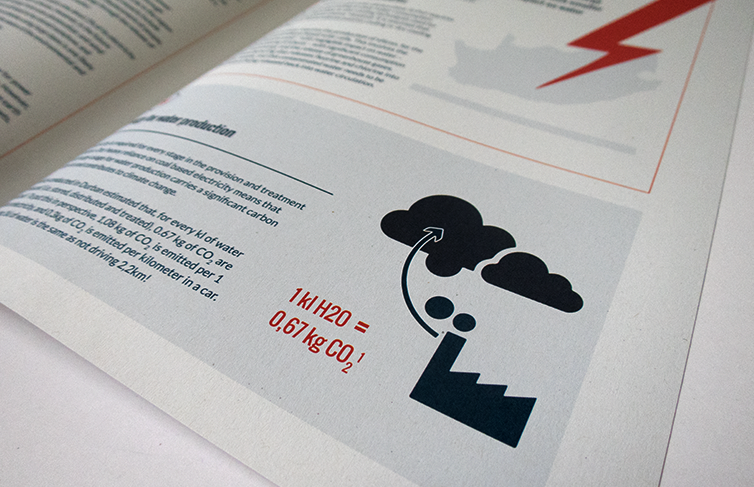 EMG wants to use the fact sheets to provide journalists, the general public and researchers with accurate statistics and information around topics that affect the environment, helping readers to understand these issues and sharing what EMG thinks about each topic. 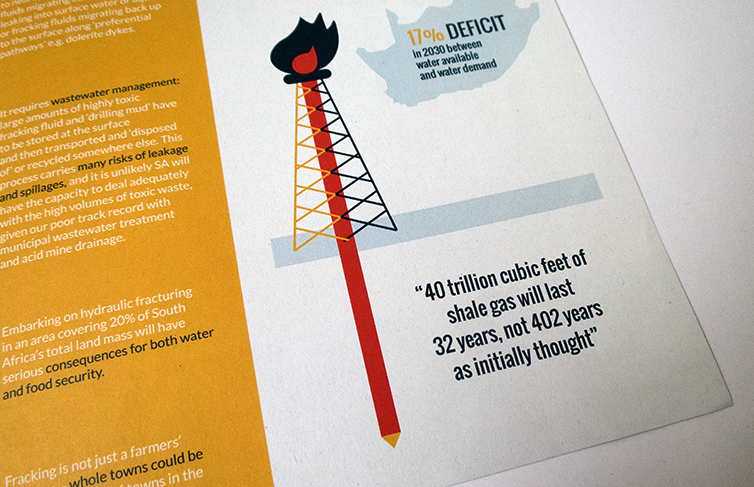 The first fact sheet produced was centered on the key messages and facts about fracking. 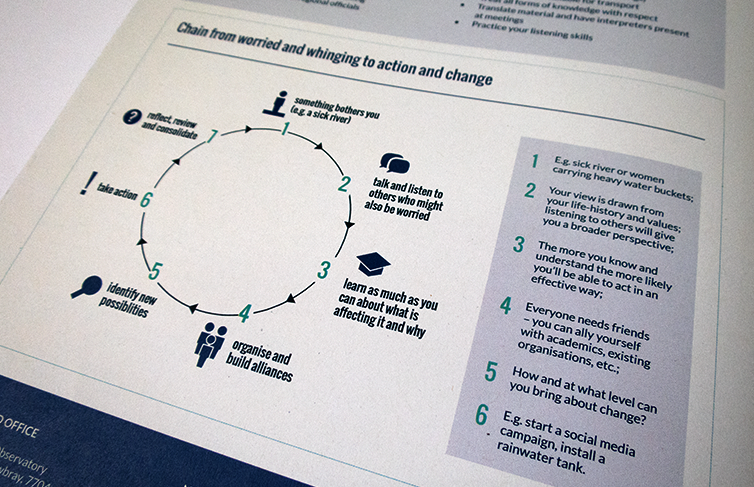 The design of the fact sheets make the information easy to read, while the graphics help with the navigation and division of the information.